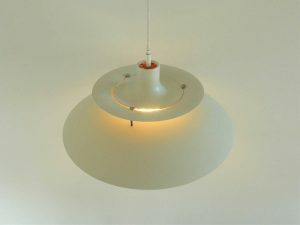 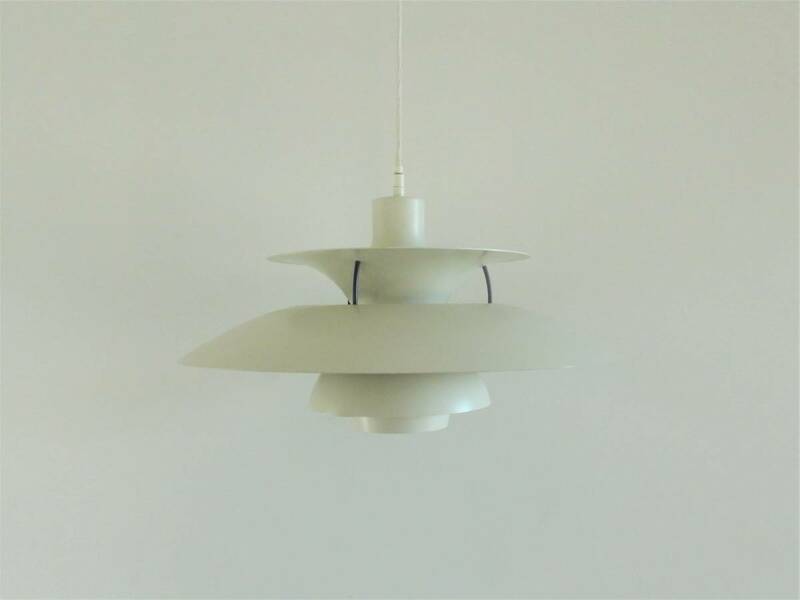 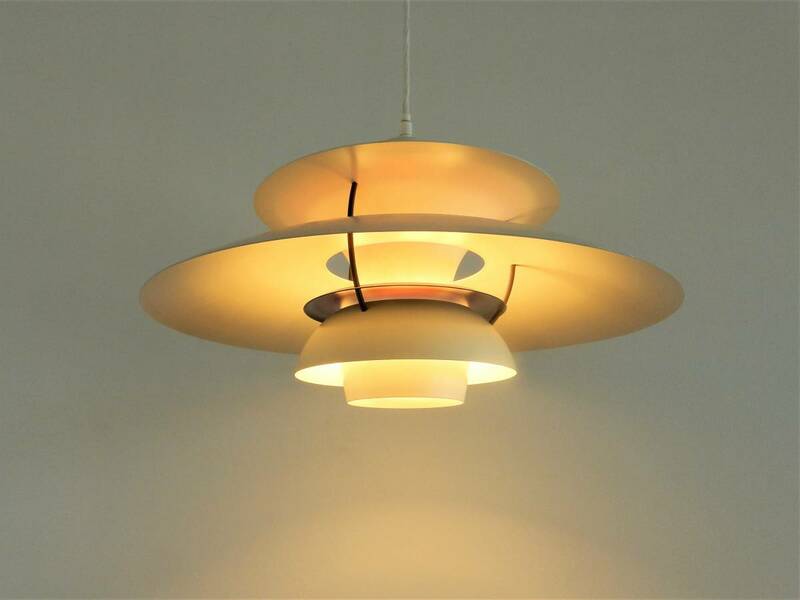 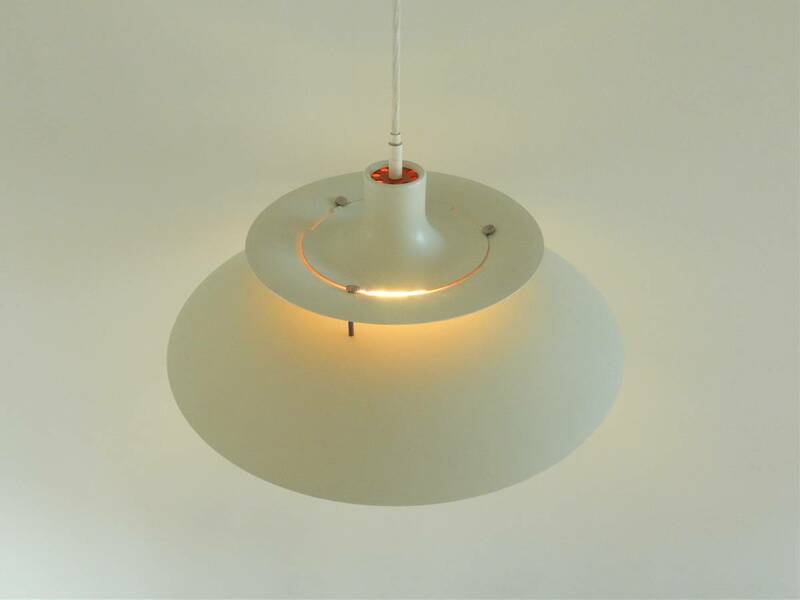 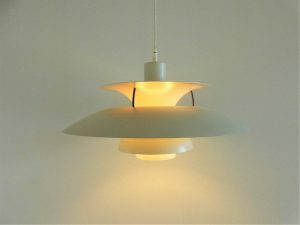 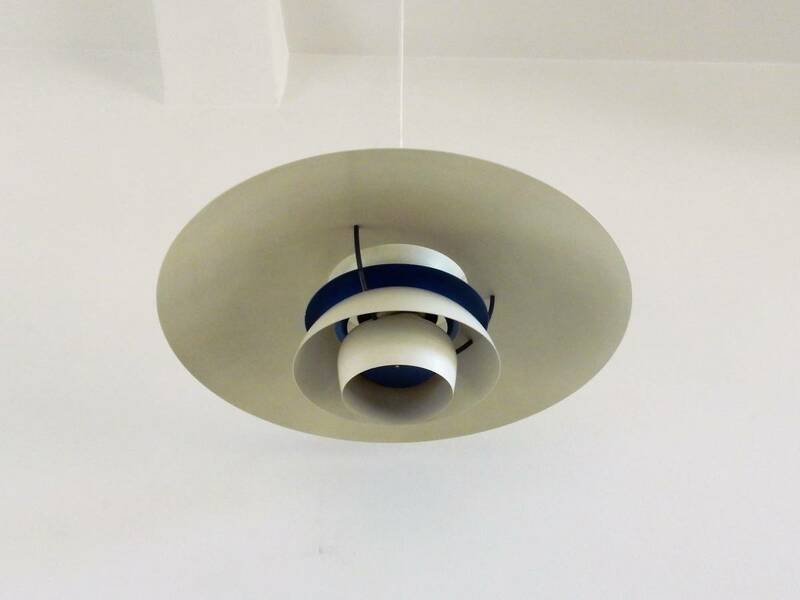 This timeless model PH5 pendant is a design by Poul Henningsen for Louis Poulsen, designed in 1956. 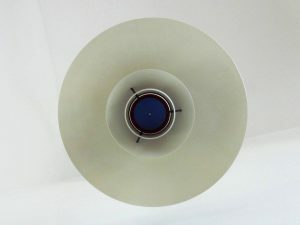 The lamp has a white, blue and red lacquered metal with blue connecting elements. 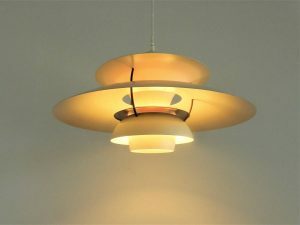 It is in a very good condition with some minor signs of age and use.